Cedella Roman's jogging ended up in detention after she accidentally crossed the US border from Canada. She was detained in Washington state for two weeks. The 19-year old was visting her mother from France when she went jogging last month to the south of White Rock, British Columbia. Accidentally, she made it to Blain, Washington by jogging, told CBC. While she stood by at a point in Blain to take a picture, she happened to turn around and saw two US Border Patrol officers approaching her. Cedella, a French citizen, wasn't carrying any documents at the time. They put me in the caged vehicles and brought me into their facility. They asked me to remove all my personal belongings with my jewelry, they searched me everywhere. 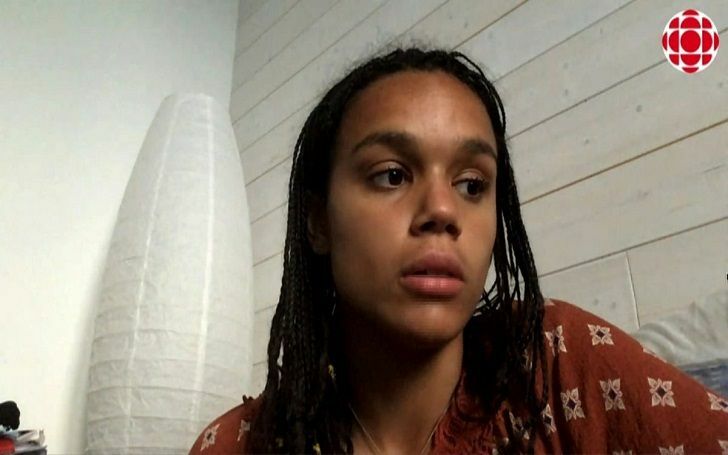 US Border Patrol arrested Cedella on May 21 and transferred her to an immigration detention center in Tacoma, Washington, according to public affairs officer Carissa Cutrell. If an individual enters the United States at a location other than an official port of entry and without inspection by a Customs and Border Protection officer, they have illegally entered the United States and will be processed accordingly. said Customs and Border Protection. It is the responsibility of an individual traveling in the vicinity of an international border to maintain awareness of their surroundings and their location at all times to ensure they do not illegally cross the border. Authorities received Cedella's travel documents after three days of her detention. But after two weeks in the prions, both Canadian and American immigration officials came to the decision that she could enter Canada. Cedella was taken to the US-Candain border near Blaine on June 5, according to Carissa Cutrell. Cedella's mother Christiane Ferne, who visited her daughter frequently at the prions, told the CBC.